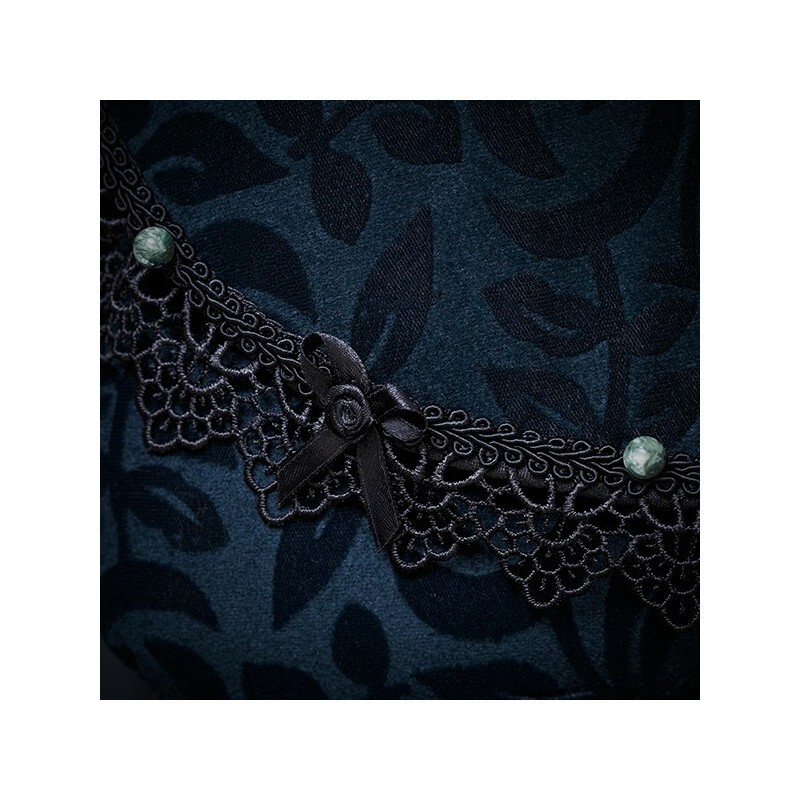 Evening clutch bag especially made for the Cannes Film Festival and decorated with black lace and seraphinite beads. By buying this product you can collect up to 31 loyalty points. Your cart will total 31 points that can be converted into a voucher of 12,40 €. The persons who find the “Opera” cloak irresistible will easily recognize the velvet from which it is made. Especially fashioned on the occasion of the famous Cannes red carpet steps, it will give a very nice effect with your evening dress. 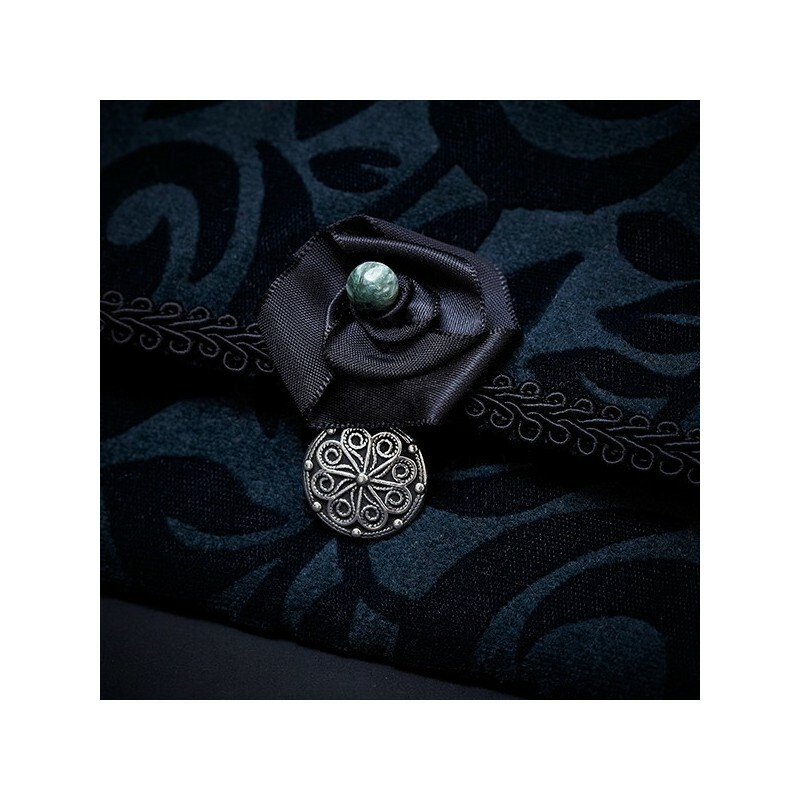 This VELVET large clutch bag (3 PIECES SET) has pockets inside and it closes with a magnetic snap. 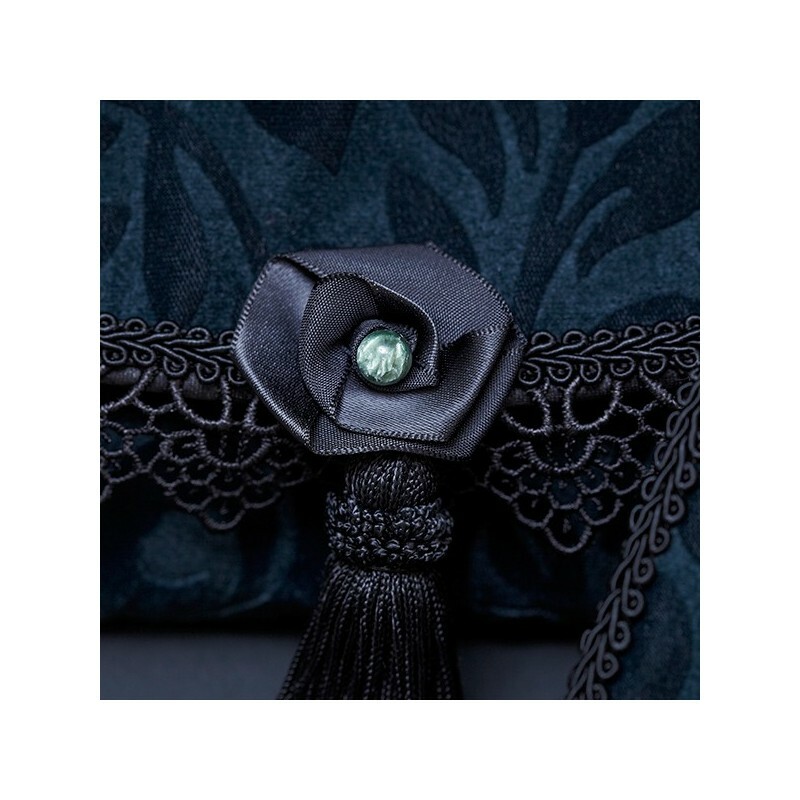 It is trimmed with a flowery black guipure LACE, a black gimp braid, black satin bows, a black satin rose with its satiny tassel, and beautiful SERAPHINITE beads with enchanting reflections. It comes with its matching DOCUMENTS and TELEPHONE POUCHES. 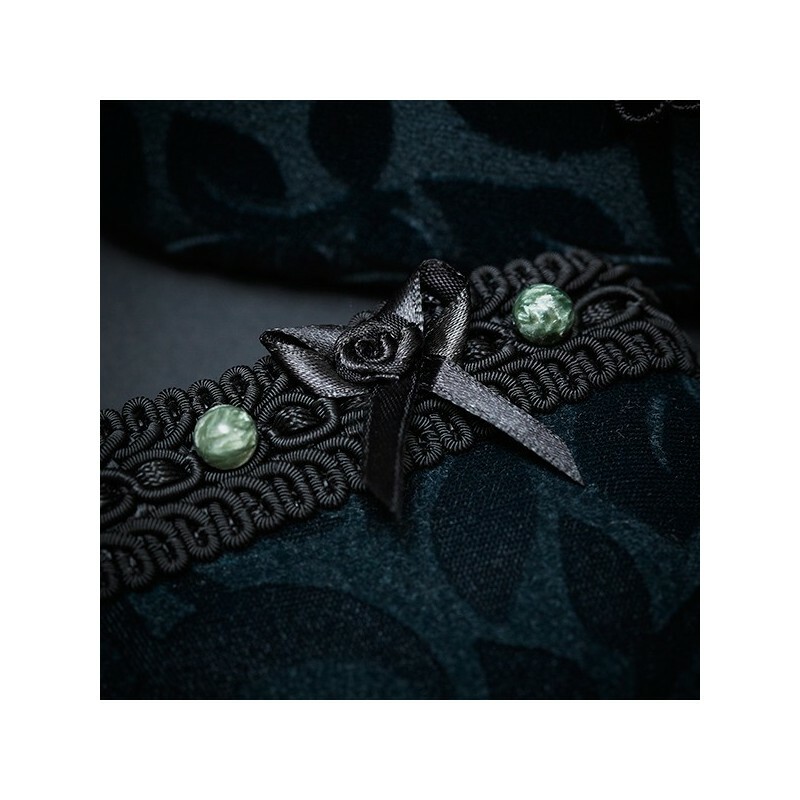 This design is a LIMITED EDITION TO 5 COPIES and exclusively made-to-order. Dimensions: 20 cm x 33 cm. SERAPHINITE, blue-green shaded stone illuminated by silver rays like some angel hair, has the reputation to "purify" the aura and to develop tenderness and deep love within. Stone of spiritual enlightenment, it also provides energy.